Keeping ownership and control over all of your email communications, documents and other unstructured data is a constant challenge for today's organizations. 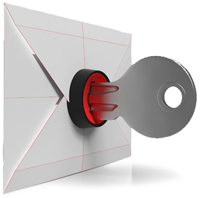 ArchiveOne manages your email and files securely, making it easy to manage capacity, comply with retention policies and discover relevant information no matter where it resides. Built on a simple and flexible design, ArchiveOne gives your organization ownership and control over your data and offers a single solution for regulatory compliance, data retention and eDiscovery. It is designed for today's business environment where email data resides not just in Exchange or Office 365, but also in PST files on network file servers or end user devices, and where it is not feasible to archive all data before enforcing retention or searching messages. This "real world" approach of ArchiveOne separates it from the competition because it aligns with the needs of the business today and tomorrow. ArchiveOne seamlessly integrates with Outlook and Outlook Web Access (OWA) and the majority of customers are installed, configured and ready to archive in one day, in fact many refer to it as a "set and forget" solution. End users can access archived data from their desktops or mobile devices via an integrated web-based search portal - even when they are offline, offering a truly transparent end user experience. Implement capacity management based on policies to intelligently determine which files, emails, attachments and calendar items to archive and apply appropriate retention periods. Any data found in Exchange mailboxes, public folders, client PST files or network file servers can be automatically archived to any designated storage device. And policies can be defined by age, metadata, content and many other options. Apply retention policies, enforce legal holds and even dispose of emails and files without first archiving the data. Automate the retention and deletion of email data to maintain compliance and minimize corporate risk. Relevant data can be easily identified, preserved and collected for internal investigations, litigation, FOIA and eDiscovery requests. Systematically discover PST files throughout the organization wherever they reside and automatically determine and assign the PST file owner. Centralize and manage PST files by copying or moving them to a central location. Eliminate them by selectively migrating data to on premise Exchange, Office 365 or ArchiveOne, then automatically disconnecting and deleting the PST files. ArchiveOne automates your organization's retention policies by letting you define which files, emails, attachments and calendar items should be archived and how long the data should be retained. Any data found in Exchange mailboxes, public folders, client PST files or network file servers can be automatically archived to any designated storage device. You can define policies based on age, metadata, content and many other options. Your data retention criteria can be applied to files, messages and/or attachments. Alternatively, you can also archive email data via the Exchange Journal when all communications must be captured in order to meet regulatory demands. With ArchiveOne, you can apply retention policies, enforce legal holds and even dispose of emails and files without first archiving the data. This is highly efficient because it leverages the resources already in place and allows for rapid growth of your data without having to first add an archiving infrastructure. Administrators can easily identify, preserve and collect relevant data for internal investigations, information requests and litigation. ArchiveOne provides advanced capabilities to address the challenges of effectively managing PST files and the data contained within them. It will systematically discover all PST files throughout your organization wherever they reside, then automatically determine and assign an owner for each file. You can manage your PST files by copying or moving them to a central location, or you can choose to eliminate them completely by selectively migrating the data within them to ArchiveOne or Exchange. ArchiveOne then completes the process by automatically disconnecting and deleting all PST files that are no longer needed. 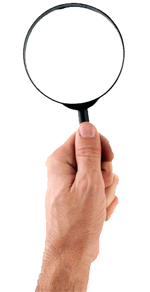 ArchiveOne provides extensive email investigation and eDiscovery/eDisclosure capabilities, enabling organizations to respond to information requests or litigations ahead of Early Case Assessment (ECA). Its unique ability to search across live and archive data from both Exchange and Office 365, as well as PST files, provides a more comprehensive view of your data than other providers. Expert end users such as legal counsel can take responsibility for driving the Identification, Collection & Preservation activities of the Electronic Discovery Reference Model (EDRM). It is not necessary to archive your data before you can manage and search it using ArchiveOne. Instead, you can immediately access all email data wherever it currently exists, whether it is in Exchange, in an archive or in a PST file. Although there are clear benefits to archiving email and documents, you don’t have to incur the time and cost of building and archiving in order to get the compliance and discovery benefits of ArchiveOne. Administrators can define multiple policies to meet specific individual business requirements, systematically moving data from primary storage device to designated archive storage, and automatically enforcing retention. They can archive files found on network file servers and email data, including attachments and calendar items, found in Exchange mailboxes, public folders and PST files. Archive policies can be set by age, metadata, content, and many other options, and criteria can be applied to messages and/or attachments. ArchiveOne can automatically compress and de-duplicate all email messages and attachments, reducing both the amount of data and the disk space required to store this data. ArchiveOne can typically give a reduction of 60% to 80% in space required for email data, enables organisations to achieve a lower overall cost of ownership while providing an improved service to end users. Selective archiving policies can move less frequently accessed mail from Exchange mailboxes directly into archive storage. This enables administrators to manage the overall capacity of their Exchange server, and allows end users to be more productive while automatically ensuring they remain within mailbox quotas. Automatically maintain compliance by using email retention and deletion policies to retain and preserve only the data that is needed, and delete all obsolete or redundant data. As well as reducing costs, this ensures the whole organisation is compliant with its information management policies and minimize the risk of incurring fines or sanctions. Close integration with Outlook and Outlook Web Access (OWA) means that ArchiveOne is unobtrusive in operation and does not impact day-to-day usage for end users. Live and archived email can all be accessed in a single search, and the ArchiveOne web portal makes email data accessible from any device including smartphones and tablets. Administrators can systematically discover PST files throughout their organisation and automatically determine and assign the PST file owner. They can delete PST data by age, in place, migrate PST data between two dates or by folders, to Exchange, Office 365 or ArchiveOne, or centralise PST files by copying or moving them to a network storage device. Finally, administrators can automatically disconnect and/or delete PST files. ArchiveOne provides extensive email investigation and eDiscovery/eDisclosure capabilities, enabling organizations to respond to information requests or litigations ahead of Early Case Assessment (ECA). Its unique ability to search across live and archive data from both Exchange and Office 365, as well as data in PST files, provides a more comprehensive view of email than other solutions. Expert end users such as legal counsel use a web-based console to drive the Identification, Collection & Preservation activities of the Electronic Discovery Reference Model (EDRM). ArchiveOne provides full support for Microsoft-hosted email solutions, including the hybrid cloud environments typically found in larger organizations with a mix of on-premises Exchange and cloud-based Office 365 mailboxes. Capture all email in a secure local repository where you can enforce legal hold and fulfill eDiscovery requests as well as manage your compliance requirements. ArchiveOne is designed for the “real world” where email data resides not just in Exchange or Office 365, but also in PST files or end user systems, where it is not feasible to archive all data before enforcing retention policies or conducting search and discovery exercises. ArchiveOne integrates seamlessly with Outlook and Outlook Web Access (OWA) for email management and the majority of customers are installed, configured and ready to archive in one day. End users can access archived data from their desktop and mobile devices - even when they are offline. 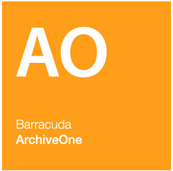 ArchiveOne provides archiving and retrieval capabilities for files, giving you control over the ever increasing volume of documents and other important data. There is no desktop software to be installed on client systems or user training required. Once you have installed ArchiveOne on your file server, users access their files in exactly the same way regardless of whether a file has been archived or not. If a user accesses a file that has been previously archived, the file is automatically retrieved and restored to its original location. ArchiveOne simplifies the identification and collection of email data. Designed specifically for use by in-house legal and business teams, it enables them to perform Early Case Assessment (ECA) for regulatory and legal challenges, as well as respond to Discovery and Freedom of Information (FOIA) requests. By supporting the first three stages of the EDRM framework, the need for an expensive litigation platform to conduct early assessments is eliminated. ArchiveOne uses familiar workflow and terminology, and is accessed via a web-based console, enabling business users to perform queries and collections, and to manage compliance capture, all without the involvement of IT staff. ArchiveOne provides archiving and information management for email including PST files. For similar granular control over network files, ArchiveOne Files can be used in conjunction with ArchiveOne or as a standalone product. 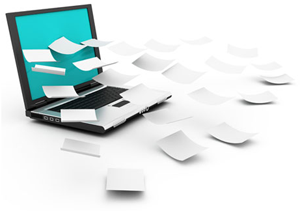 Using the same policy-based approach, ArchiveOne Files offers reliable file archiving and management capabilities, solving data accumulation problems, delivering an immediate reduction in storage and improving performance. The software provides a seamless and completely transparent end-user experience requiring no desktop software to be installed on client systems. ArchiveOne Files is configured and controlled via a simple and intuitive management console, enabling administrators to define policies with a high degree of granularity and allowing them to determine exactly how they want to manage network files.